There are many thing that we inherit from our parents and grandparents. Dum biryani is one such...it runs in our family. Starting from my late grandfather who was a pro in making them. Usually at home mutton dum biryani is made. Be it family get together, wedding and or Diwali it has always been biryani, grandpa has led the kitchen during those times. Let me tell you, almost a decade before these biryani were always made in bronze cooking pot on wooden fire. The whole process of making this is no less than a festival at home, with whole big bunch of family around. Usually the briyani is accompanied with chicken masala, raita and double ka meeta (bread halwa) is must! We kids we were aw struck with the whole making process, all mom's in the kitchen taking care of pre-preparation step, men at backyard cutting the woods, setting the fire and getting the heating right.By the time we get to eat biryani is late after noon, we end by eating a sweet pan made by grandma. But elders always looking forward to eat biryani the next day. 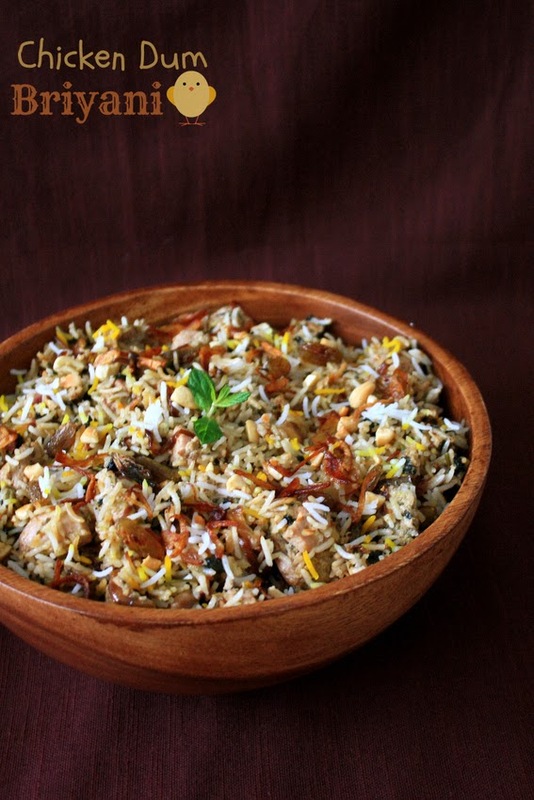 I have admit, now I realise that biryani taste best after its one day old.....With time cooking of biryani move to gas top, the taste did diminish a bit but the essence still remains....so this Diwali I'm here to give you chicken biryani from our family recipe. Here's wishing you a very happy Diwali, may this Diwali brighten all your lives, do have a safe one ...also try to say NO to crackers! Last whole month I was totally on move, up and down between Belgium, Spain, Switzerland and Paris. It was exciting and wonderful trips but.....not that I'm going to complain about travelling, I thought I should have schedule at least 3 week breaks between each trip. Well, after the storm, I curled up into my den for couple of weeks recovering (much needed I say!). During the days of recovery only thing I was eyeing, on the way to work through fields, was pumpkins. Belgium autumn so far has been bit nice, moist, humid and foggy. Every day the density of fog amazes me, wish there were some lakes here it would have been picturesque.....anyhow last weekend I walked to Saturday market, my most favourite activity during weekend to hunt for some fresh treasure. I did come back with last few honey melon, in season corn, pumpkin, peanut and fresh fresh walnut (This is delicious!) and lots more. Nothing makes my happier when my see my refrigerator filled with happy looking fruits and vegetable saying "eat me". 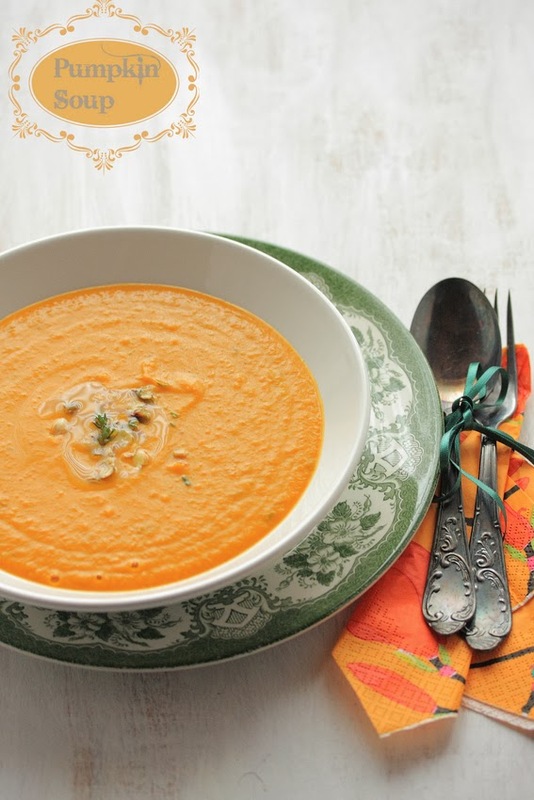 Very obediently pumpkin was transformed in to this delicious pumpkin soup. It did get some good grade from fellow colleagues. I'm totally in love with pumpkin soups, if you have any other version do drop a note would love to try!